Designed to provide residents with a diverse and dynamic experience of modern urban living within a singular location, offering an urban plazas, civic parks, pocket parks, play and sports recreation space. 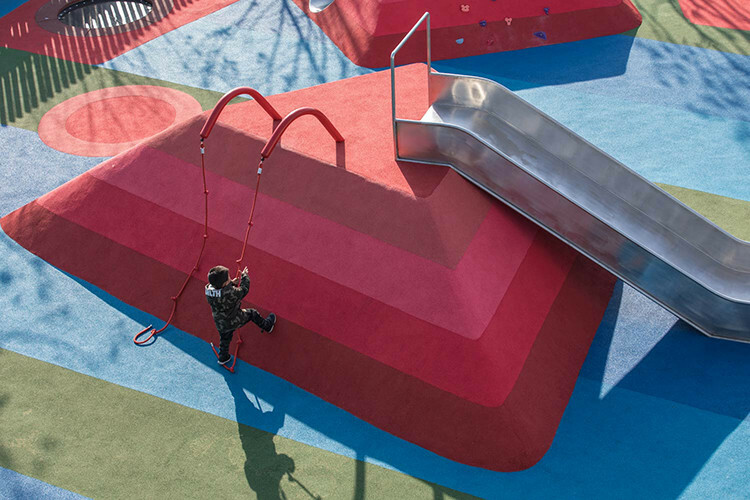 All spaces are programmed to provide a range of experiences and offer a diverse range of facilities and activities for all ages, all structured to encourage social and community connectivity, as places to come together. 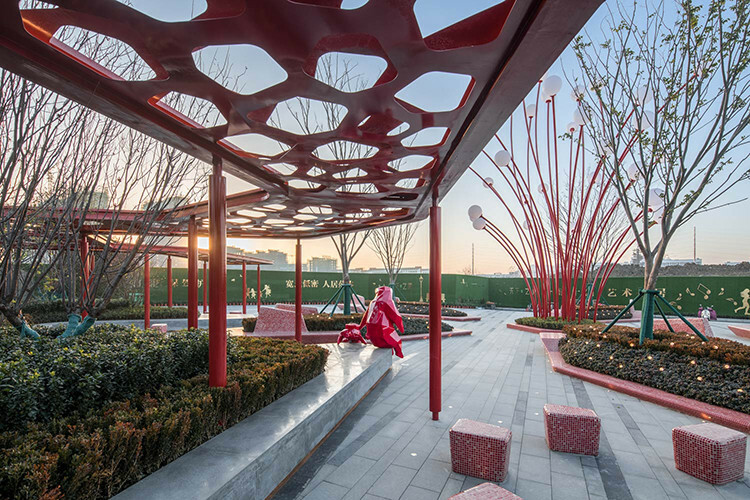 The overarching design reflects elements of the local community and culture, with the flower of the city – the Pomegranate – providing a strong source of inspiration to the design, guiding the form, color and composition to create an energetic colorful, and bold experience. 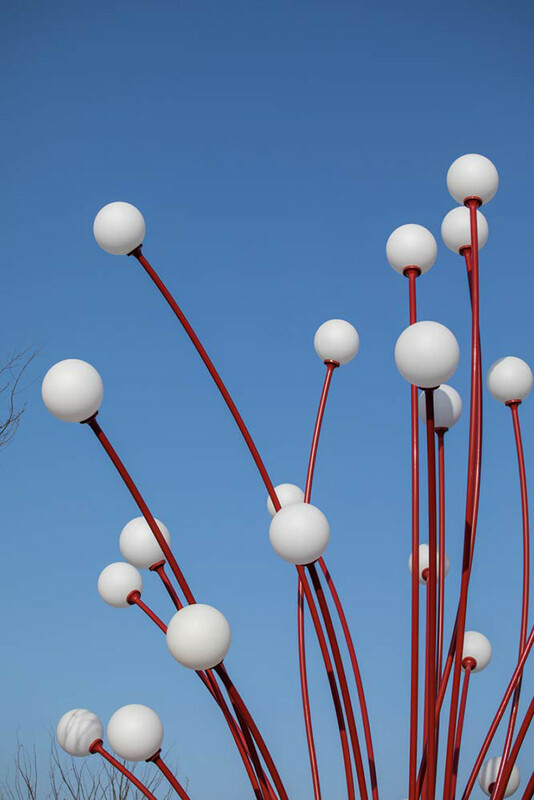 Combined with a dynamic socially orientated landscape program to meet the needs of the community and its people while encouraging interaction, connection and communication. 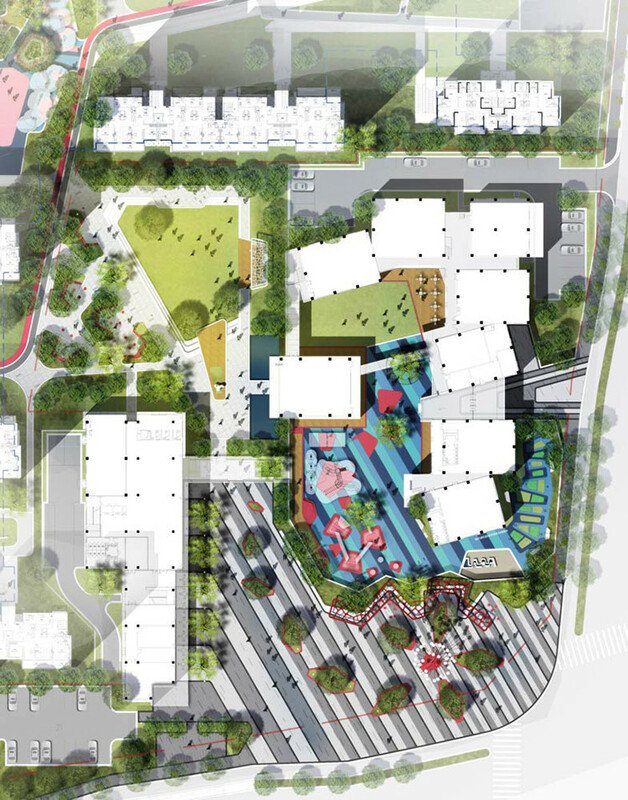 The initial phase consists of three main programmatic zones, urban pocket park, children’s play and community park, with each space catering to children, adults and the elderly allowing all to come together to enjoy the fun of play, the diversity of lifestyle, and the vibrancy and energy of the urban environment. 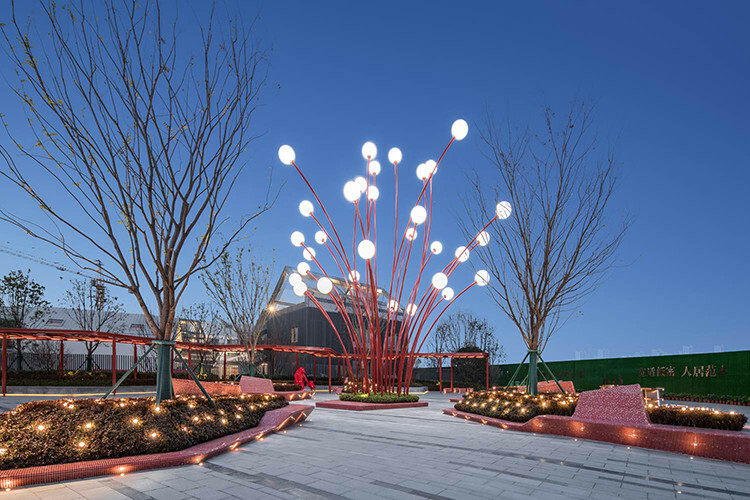 Standing as the centerpiece of the urban pocket park is the light sculpture inspired by the stamens of the pomegranate flower, reaching high to create both a landmark and identity within the surrounding urban context. On the surface, rhythmic paving represents the wind and the shape of bespoke planters represent the petals blowing in the breeze with the active seating edges providing calm and comfortable clusters for people to rest, stay and connect. 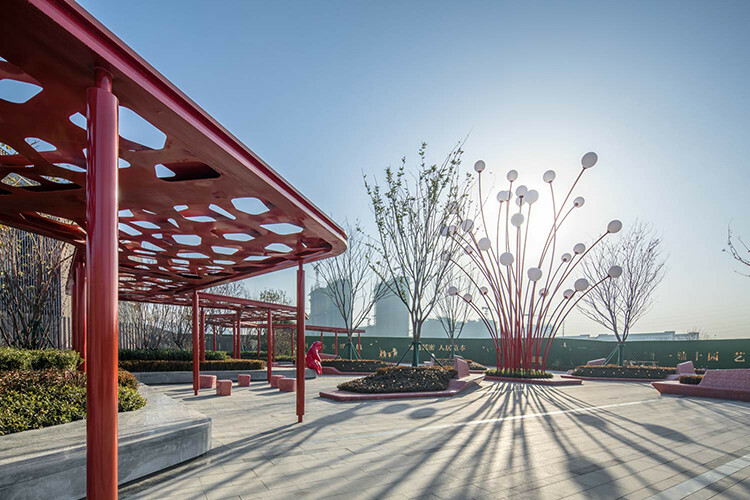 The compacted and layered arrangement of the pomegranate fruits provide reference for the shade shelters, creating an interesting shadow play on the ground whilst providing a backdrop to the entire space; allowing visitors and residents to rest in comfort during the hot summer months.